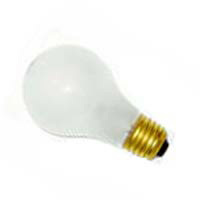 75 watt A19 shatter resistant light bulb with rough service filament. 120 volt, medium base. 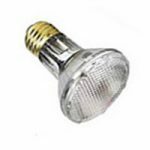 This is an industrial version of the common 75 Watt household light bulb. 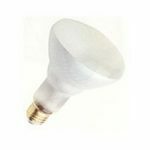 Its safety coating and rough service filament ensure that everything possible has been done to help prevent product contamination and personal injury. The rough service filament can withstand shock and vibration of daily use in harsh environments.